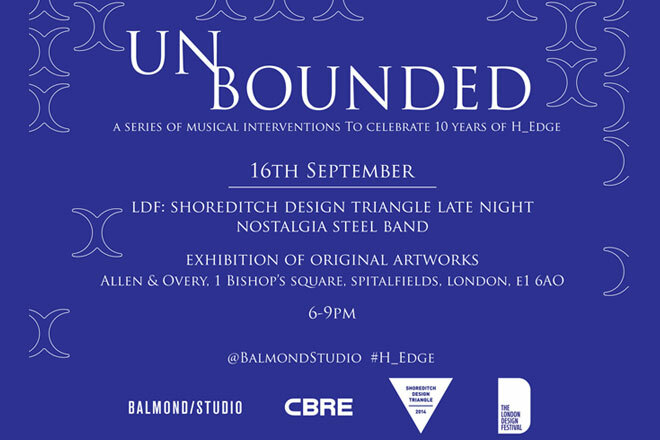 On Tuesday 16th September, Balmond Studio will be hosting a reception to celebrate 10 years of Cecil Balmond’s acclaimed sculpture H_Edge,along side an exhibition of original artwork. Set in and around the art piece as the sun sets, Nostalgia Steel Band will bring their unique sound to the dynamic environment of H_Edge glistening in the night light. To join us for what will be a truly inspiring night of art and music, send your details to rsvp@balmondstudio.com.